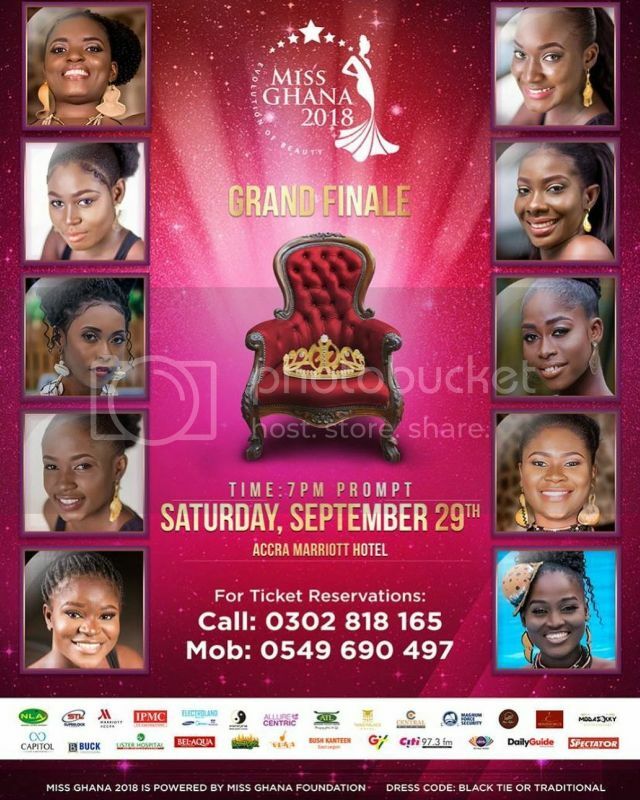 The grand finale of Miss Ghana 2018 comes off on Saturday, September 29 at 19:00 hrs WAT [UTC/GMT + 1 hour], at the Accra Marriott Hotel, in the city of Accra. 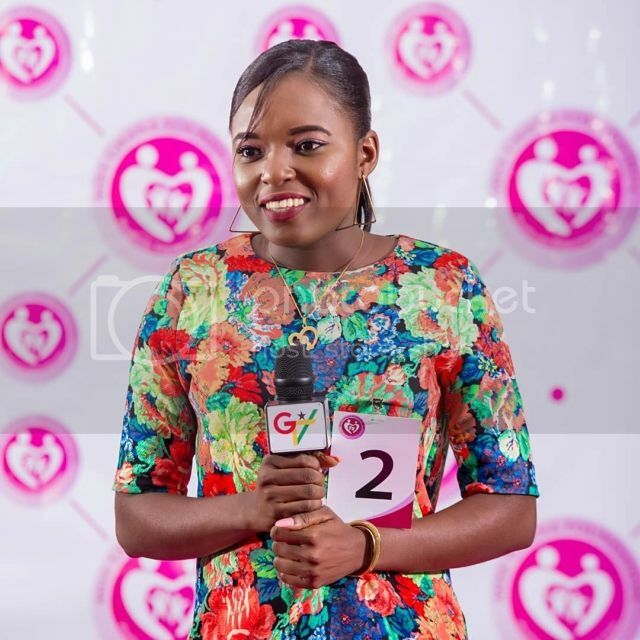 There will be ten (10) contestants representing each country's region and vying for the coveted crown, with the pageant night to be broadcasted live on GTV (Ghana Today Television). 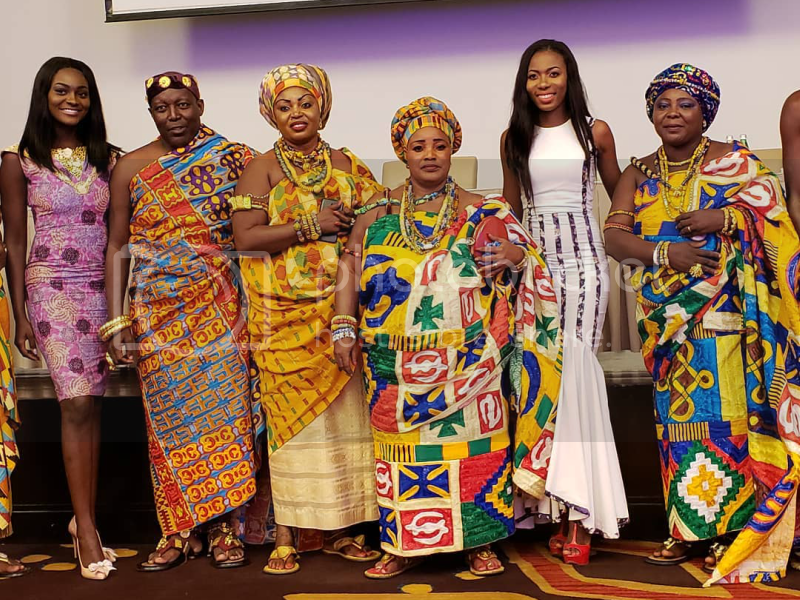 At the end of the event, the pageant winner will be crowned and bestowed the title Miss Ghana 2018 and will represent her country at the 68th edition of the Miss World competition on December 8, 2018, in Sanya, China.. The Miss Ghana Beauty Pageant was started by the first President of Ghana, Dr. Kwame Nkrumah in 1957, the year of Ghana's independence, as an initiative to offer the Ghanaian woman a platform to positively impact society. It is the biggest and oldest national beauty pageant in Ghana and it has produced 32 titleholders. The event was first organized by the state agency, the Public Works Department (PWD). Over the years, the Miss Ghana brand which is owned by the State has been outsourced to various event organizing companies, and management of the Pageant has changed hands from Malinro Ventures, through Media Whizz Kids, Sparrow Productions and back to Media Whizz Kids. Currently, the pageant is being organized and managed by Exclusive Events Ghana, an events management company headed by Inna Mariam Patty (Miss Ghana 2004). Under the leadership of these private entities, many charity works and projects which focused on raising funds to empower deprived and vulnerable people such as the aged and street children have been undertaken. 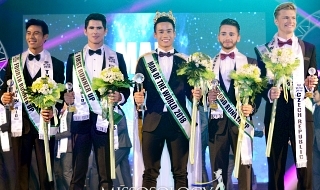 The winner of the competition represents the country at the Miss World and also signs a one-year contract with the pageant organizer to become the spokesperson for their various charities. The winner uses her position to speak on behalf of many charities, and dedicates her year of reign to promote the cause of a specific charity of her choice. 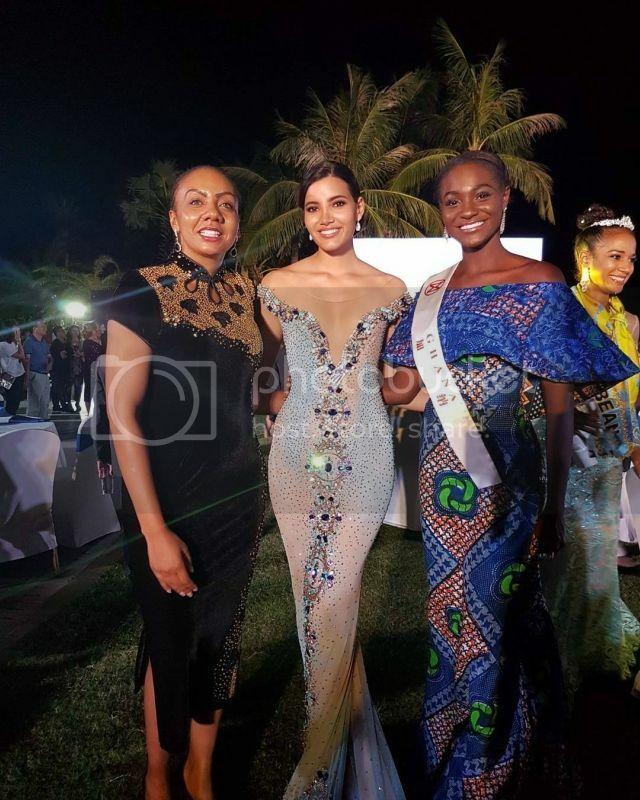 Two Ghanaian representatives at the Miss World competition have won the Beauty with a Purpose Award, Irene Dwomoh in 2007 and Stephanie Karikari in 2011. Aside the Miss World, the Pageant is also responsible for sending representatives to Miss ECOWAS/CEDEAO. Ghana currently has no reigning Miss Ghana. This is because the winner of the 2017 edition of the pageant, Margaret Dery, resigned end of July. Nothing has been heard about her first runner up, Nana Gameli, or her second runner up, Marigold Frimpong. While, all official events have been attended by Afua Asieduwaa Akrofi, Miss Ghana 2017 Ambassador, and Archibald Acquaye, Mr World Ghana 2016. Last edited by john2000doe on Thu Oct 04, 2018 5:43 pm, edited 3 times in total. Ghana debuted in Miss World in 1959 with Star Nyaniba Annan as their first ever representative, who failed to get placement for her country. Since then, the Ghanaian representative for Miss World has been chosen in the Miss Ghana pageant and they have participated in 28 Miss World editions. A Ghanaian lady has never won Miss World and they have placed in the finale for only 6 times . 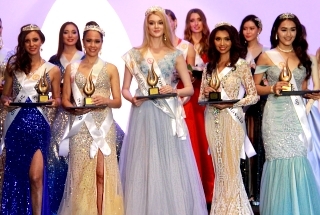 Ghana received its highest placement in 2013 when stunning Carranzar Shooter placed as second runner-up to Megan Young of Philippines. Then, after eight years hiatus, Ghana returned to Miss World by mean of Araba Martha Vroom who became the first ever Ghanaian delegate to place among the 15 semifinalists at the Miss World 1967 pageant in a time Africans weren’t really appreciated. 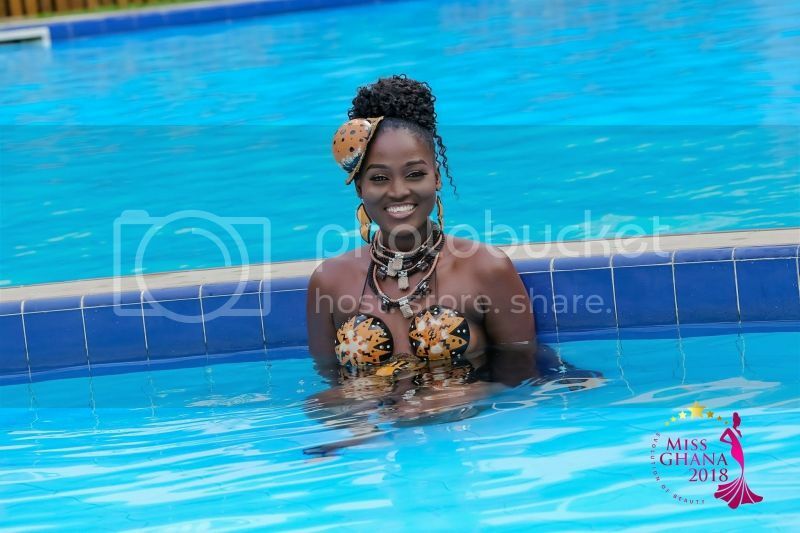 The next year, Lovell Rosebud Wordie attended the contest and was the third Ghanaian representative to take part at the Miss World competition but failed to make it to the top fifteen. After Lovell Rosebud Wordie, there was a break of twenty years until 1988, when Dzidzo Abra Amoa, Miss Ghana 1988, was sent to Miss World but also did not place. Ghana won the Best Formal Evening Dress Award in Miss World 1995 with the courtesy of Manuela Medie. 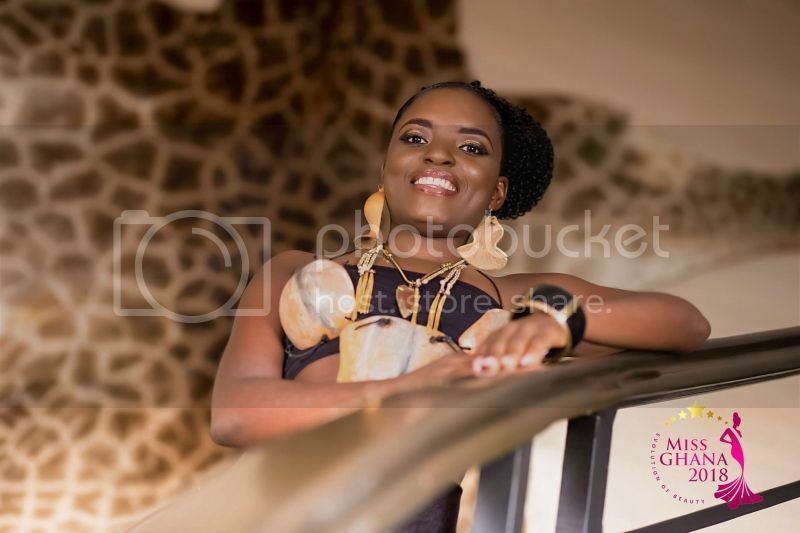 After a change in the organiser of Miss Ghana, from Media Whizz Kids to Sparrow Productions, 2003 was the first year a Miss Ghana titleholder did not represent Ghana at Miss World in the year of her national reign and no representative was sent to the competition. After their first placement in 1967, Ghana had to wait 39 years for their next placement in 2006, when Lamisi Mbillah, who was Miss Ghana 2005 and represented Ghana at Miss World 2006, was "fastracked" to join the Top 17 semifinalists after she won the 'Beauty with a Purpose' prize for her work in combating the guinea worm parasite, and iodine deficiency in her home country. 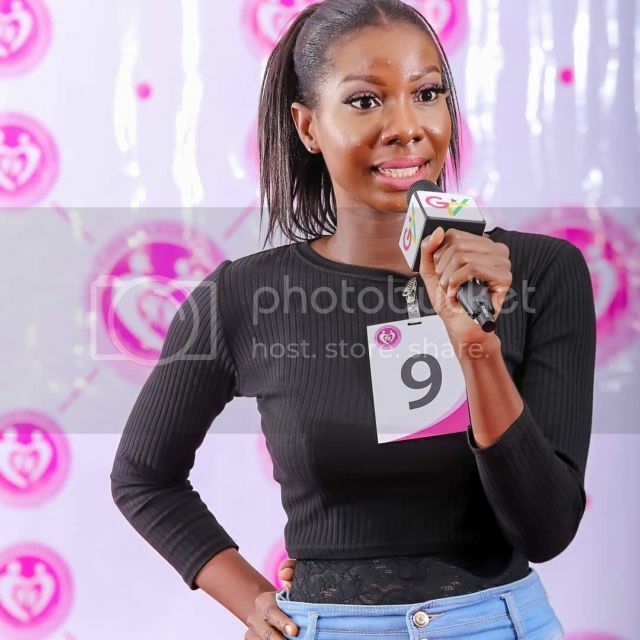 She became the second ever Miss Ghana titleholder to advance to the next round. A year later, Irene Akosua Boatemaa Dwomoh, Miss Ghana 2006, fast-tracked to the semi-finals (Top 16) as the winner of the Miss 'Talent' Award. 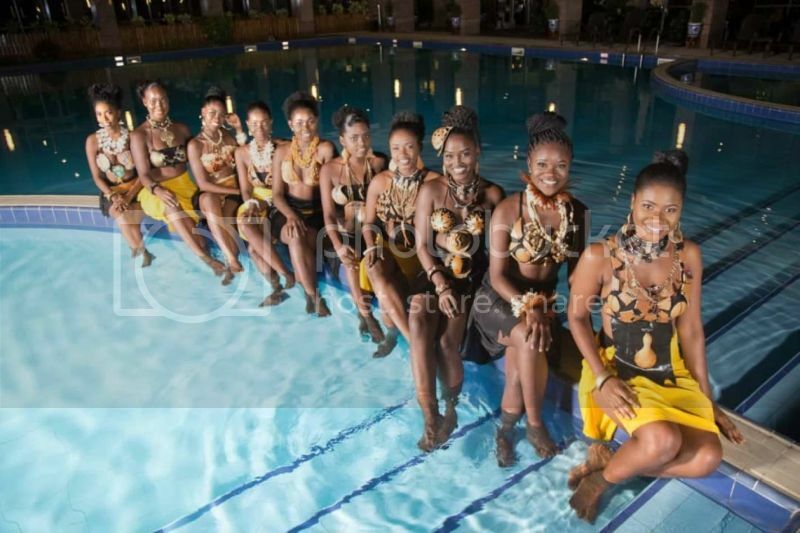 This marked the second year running that a representative of the shining star of Africa's gold coast advanced to the semi-finals through a fast-track event. Stephanie Adwoa Adjeiwaa Karikari, Miss Ghana 2010, became in 2011 the second Ghanaian to win the ‘Beauty with a Purpose’ prize, although she didn't place. Karikari shared her prize with Astrid Yunadi, Indonesia. 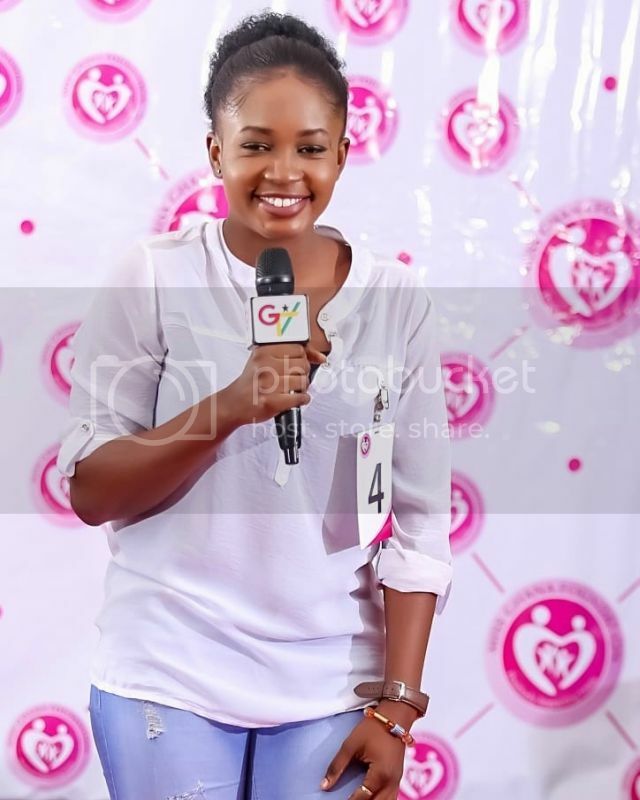 Her project work as Miss Ghana 2010, on maternal care, stood out among that of other contestants. In 2011, the local pageant was cancelled because the organisation was changing hands again from 'Media Whizz Kids' to 'Exclusive Events Ghana' and no representative was sent to the 2012 Miss World edition. Then came the charismatic and stunner Carranzar Naa Oakiley Shooter, Miss Ghana 2012, who was the 2nd runner up at the Miss World 2013 pageant, the highest Ghana has ever placed there. Giuseppina Baafi, Miss Ghana 2013, was crowned on July 20, 2013 and it was expected that she would compete at the 2014 Miss World pageant. 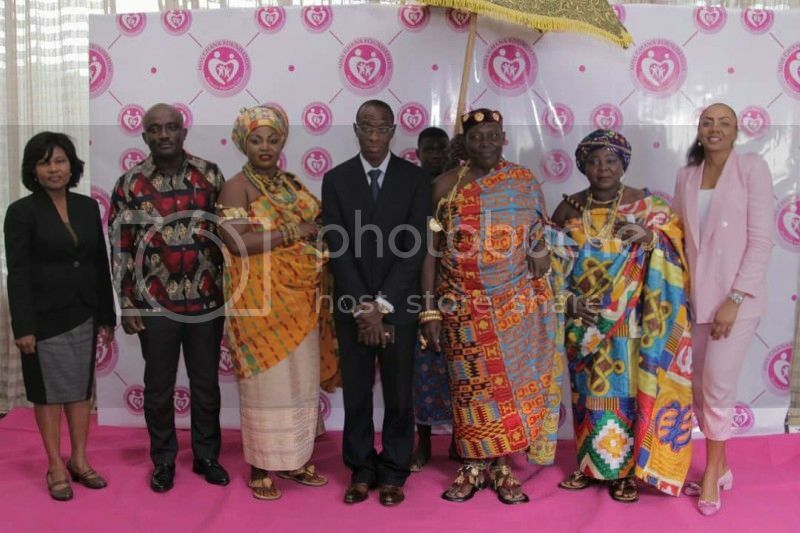 However, on July 3, 2014, Exclusive Events Ghana, organizers of the Miss Ghana event, stripped of her title. But the two runner ups had resigned from their positions several weeks after crowing Miss Baafi in 2013. 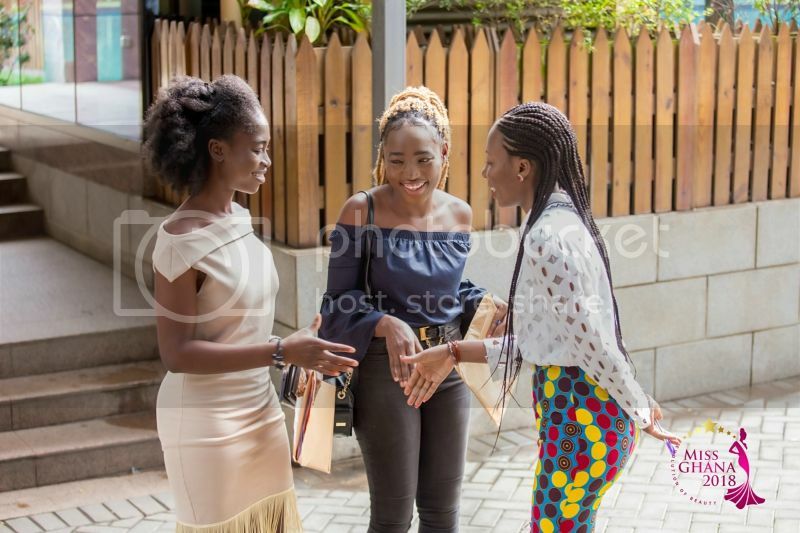 According to Inna Mariam Patty, CEO of Exclusive Events Ghana, the reason was because they were interested to return to school after an unsuccessful attempt to defer their academic year. 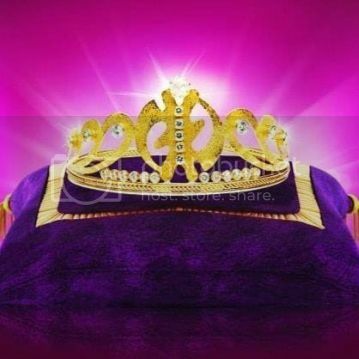 Thus, the position of the Miss Ghana crown was vacant and the organisers needed to get a suitable candidate as Ghana’s representative for the 2014 Miss World pageant due to time constraints. On August 16, 2014, Exclusive Events Ghana confirmed Nadia Naa Densua Ntanu as the Miss Ghana 2014 Ambassador and Ghana's representative at the 2014 Miss World contest. Nadia Ntanu was the first runner-up for the 2012 edition of Miss Ghana. She took up the vacant position as Ambassador of the Miss Ghana brand, rendered a full time year of community service with Miss Ghana Foundation and attended the 2014 Miss World competition in London where she placed among the 25 quarterfinalists. 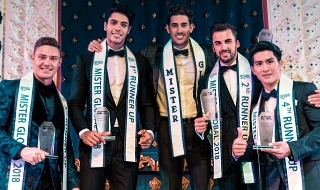 In 2015, Ghana could not take part in the 65th edition of the Miss World pageant, which was held on December 19, because organisers, Exclusive Events Ghana, could not crown a winner in time for the competition and had limited time to prepare Antoinette Delali Kemavor who was crowned as Miss Ghana 2015 on November 8. Instead, she competed at the 2016 Miss World pageant and finished as one of the 20 quarterfinalists. 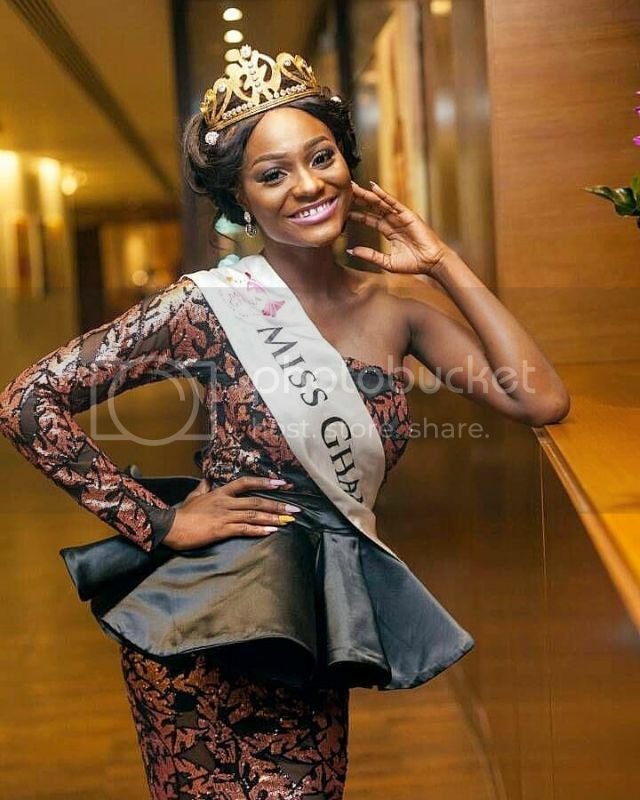 On October last year, a week after a winner was crowned at the end of the Miss Ghana 2017 Grand Finale, Afua Asieduwaa Akrofi, who was also the 1st runner-up at the Miss Ghana 2015 pageant and had previously entitled as Miss Ghana 2017 Ambassador, was appointed to represent Ghana at Miss World 2017 by Executives of Exclusive Events Ghana, organizers of Miss Ghana pageant. No local pageant was held in 2016 due to the lack of sponsors and pageant's contrversies. 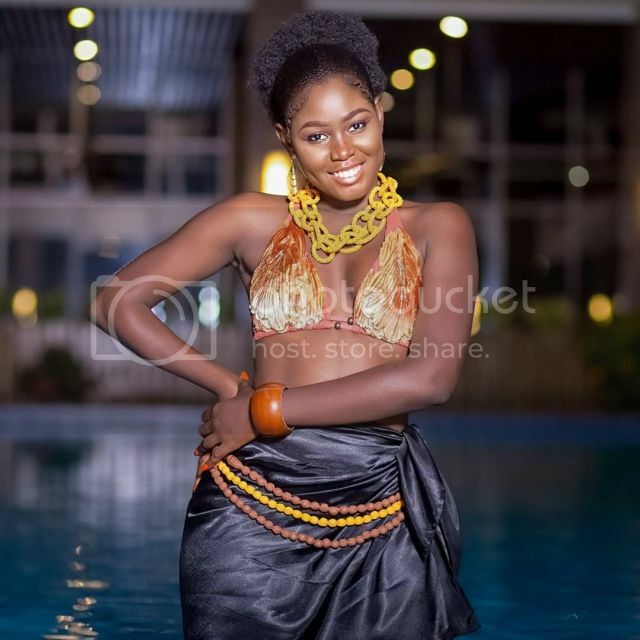 Akrofi was selected after the organizers decided to send Margaret Derry Mwintuur, Miss Ghana 2017, to Miss World 2018 pageant as the 2017 edition of the national pageant was held on October 7, leaving no time to prepare the new winner for the Miss World pageant. She attended the 67th Miss World edition in China but failed to get placement for her country. Last July, a commissioning of a water project and donation to the Nabule Alleged Witch Camp in Gushiegu, Northern region, raised eyebrows after Margaret Dery was conspicuously missing from the event. 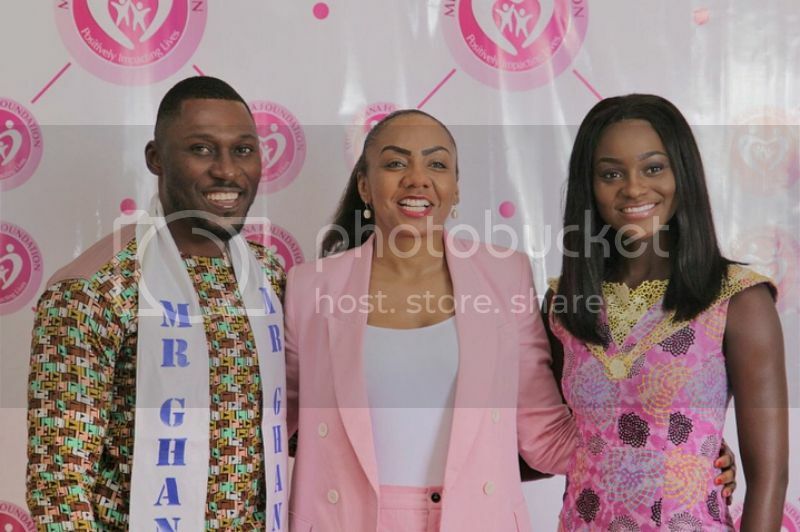 That event, which was an initiative of the Miss Ghana 2012 Northern Regional Queens was rather attended by Afua Asieduwaa Akrofi, Miss Ghana 2017 Ambassador, and Archibald Acquaye, Mr World Ghana 2016. Margaret Mwintuur Dery, who was crowned as Miss Ghana 2017 on October 7, 2017, in Accra, officially relinquished her title end of July. 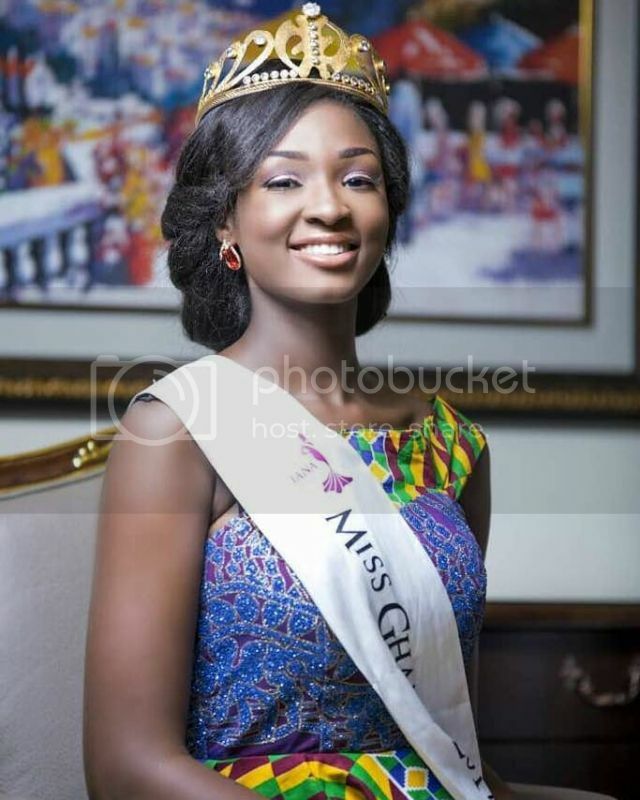 Dery, just after nine months as Ghana’s beauty queen and a few days prior to the launching of the 2018 Miss Ghana pageant, informed to Ghanaian media that she sent an email to the organisers, Exclusive Events Ghana, to formally inform them of her decision to step down and saying she was no longer interested in the crown. The 2017 winner of Ghana’s foremost beauty pageant, also took to Twitter to confirm the news and to vent her anger at the organisers, expressing her misgivings as a beauty Queen, labelled the Miss Ghana beauty pageant brand as a big shame. According to an unedited write-up from Margaret Dery, she claimed that she did not receive her prizes and were abused by the organizer of the event, Inna Patty. Dery further wrote to the media that it was demanded of her to raise $15,000 for the organizations trust. She hinted that it is widely believed that the funds, which are meant for charitable projects, are embezzled by the organizer for personal use. According to Pulse GH, allegedly, there was a meeting between her and the organisers in a last attempt to salvage sour relationship between them. However, the meeting could not save the situation. She had tried some months ago to relinquish the crown but was persuaded by her family not to. According to several Ghanaian media, Margaret Dery couldn’t stand the pressure from Inna Patty and her Exclusive Events Ghana. 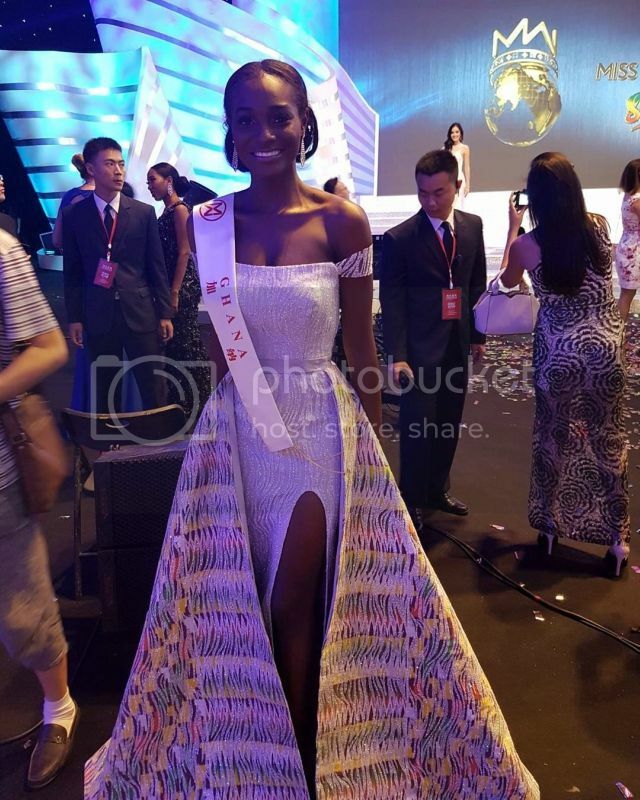 With her resignation, Dery also gave up her right to represent her country at the 2018 Miss World competition in Sanya, China. 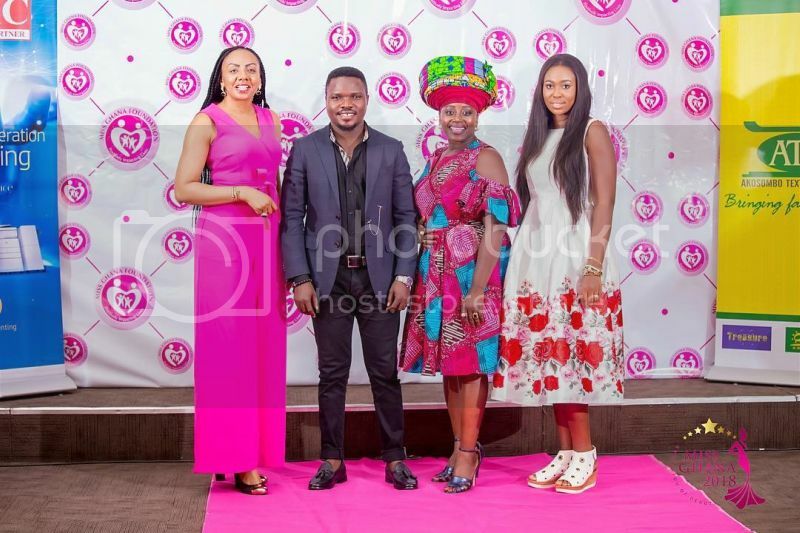 By other side, Inna Mariam Patty, CEO of Exclusive Events Ghana, has accused Shirley Frimpong-Manso, CEO of Sparrow Productions and former Miss Ghana pageant organizer (2004 – 2008) and Menaye Donkor-Muntari, Miss Universe Ghana 2004, wife of Ghanaian professional footballer Sulley Muntari, CEO of MALZ Promotions and owner of the Miss Universe franchise in Ghana, of paying $200,000 to Chris-Vincent Agyapong Febiri, a freelance blogger/writer, founder and editor of GhanaCelebrities.com, and past Miss Ghana queens to discredit her and her company Exclusive Events Ghana. Last edited by john2000doe on Thu Sep 27, 2018 1:32 pm, edited 1 time in total. 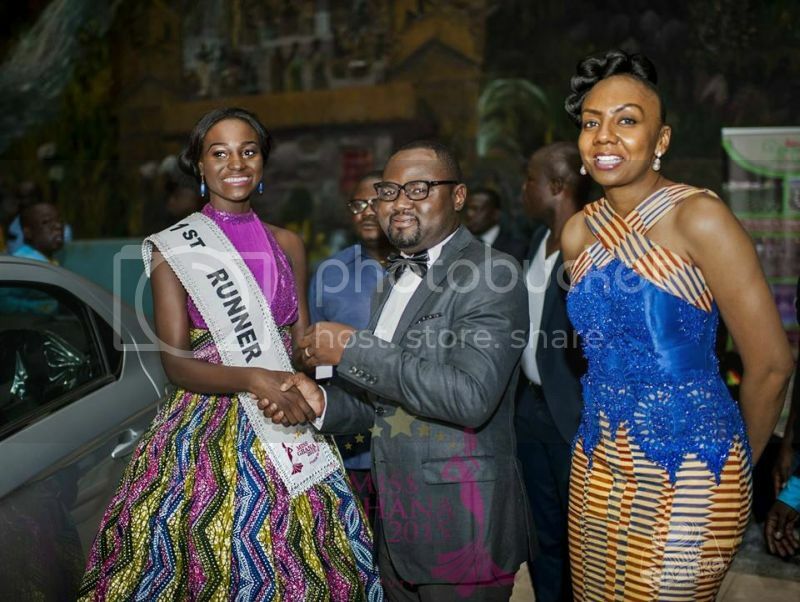 The 2018 edition of Miss Ghana beauty pageant was launched in spite of several pending allegations made by some former winners against the organisers and came off days after Miss Ghana 2017 resigned from her position. 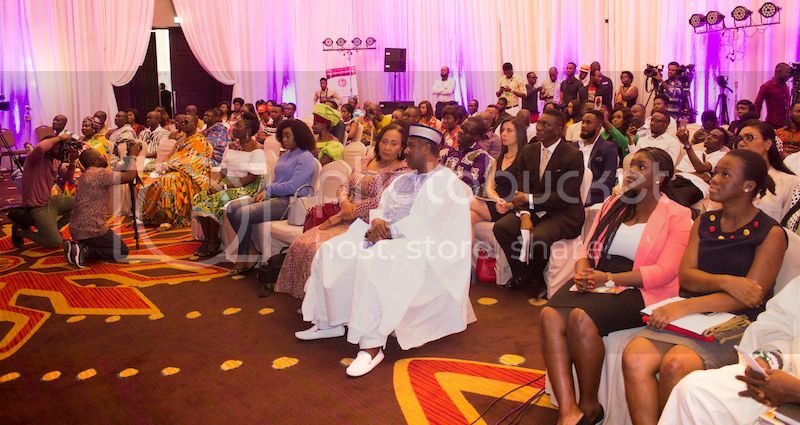 The launch was held on August 2, 2018 at the Kempinski Goldcoast Hotel in Accra. 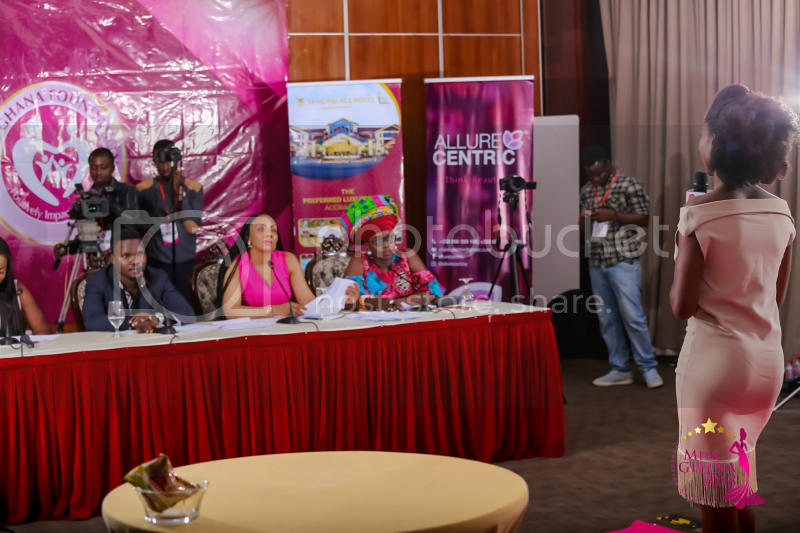 The launch was attended by government officials, traditional leaders, former winners and contestants, as well as some other players within the entertainment industry who were geared towards a successful beauty pageant void of controversies like past events. With regards to the resignation of the 2017 Miss Ghana queen, Magaret Dery, Inna Patty mentioned to the media that even though it was unfortunate situation, she could not tell why Magaret took that decision. 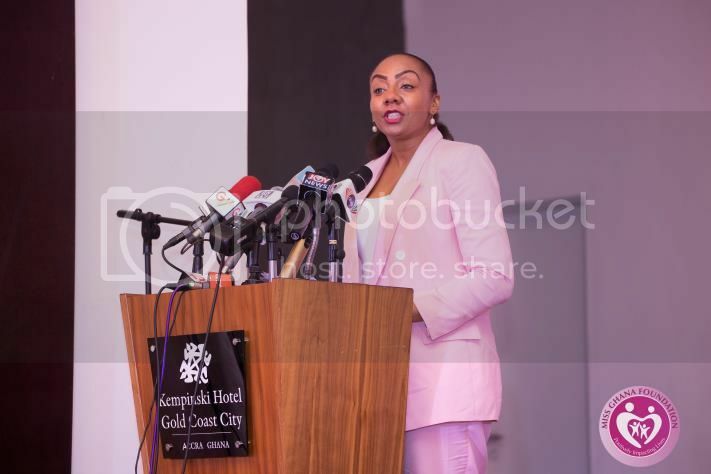 Concerning the allegations made by former beauty queens, Inna Patty pointed out that none of the people who have made those allegations against the Miss Ghana brand have been able to prove it and her lawyers are currently handling the issue and would want the law to take is course. 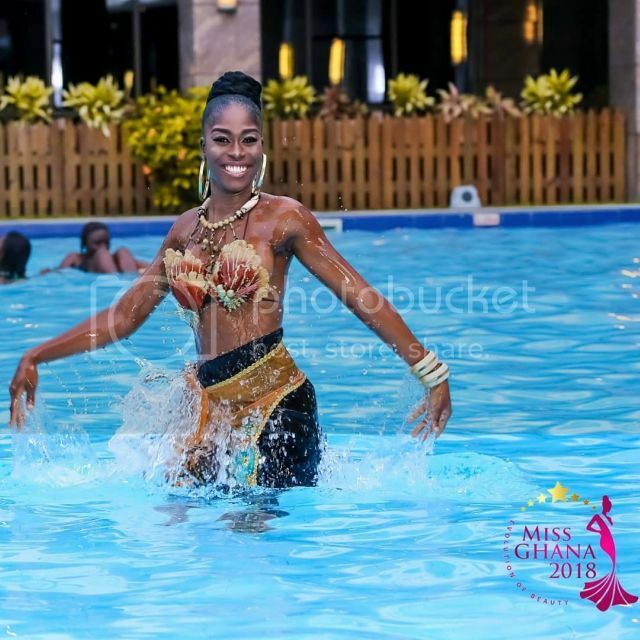 However, Inna Patty hinted that the organisers are putting in place measures to ensure that subsequent editions of the pageant are free from scandals. 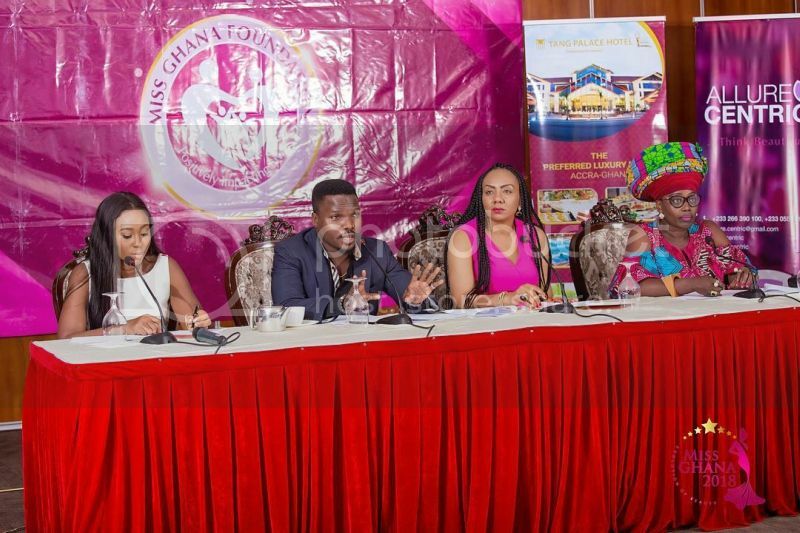 During the event, Inna Patty emphasized the need to redirect the essence of the pageant, which has moved from monetary gains to working vigorously to touch on the lives of Ghanaians in the Miss Ghana Foundation. She rubbished claims of the queens joining the pageant for the sake of the car, cash or the Miss Ghana crown. She mentioned that they expect queens who use the medium to change and transform the lives of people in rural areas/villages and deprived communities and to help empower the vulnerable in society. According to Inna Patty, this year’s event themed "Giving Life to the Lifeless" will also invite Ghanaians living in the Diaspora. 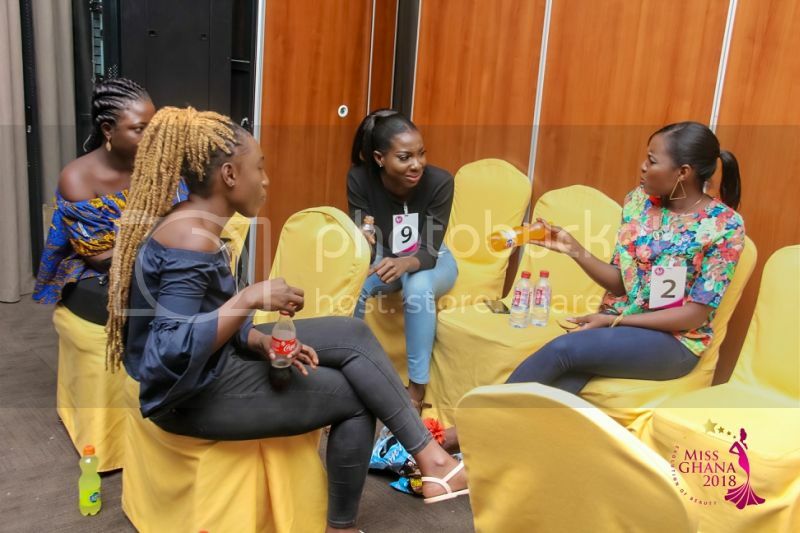 This year's version of the Miss Ghana 2018 auditions would include contestants from the diaspora with a keen interest of contributing to the development of Ghana. She revealed that it would begin with seven countries this year. The move to include the diaspora contestants was to open a platform for all Ghanaians from all over the world to contribute to the quota to service Ghana positively and also the world. 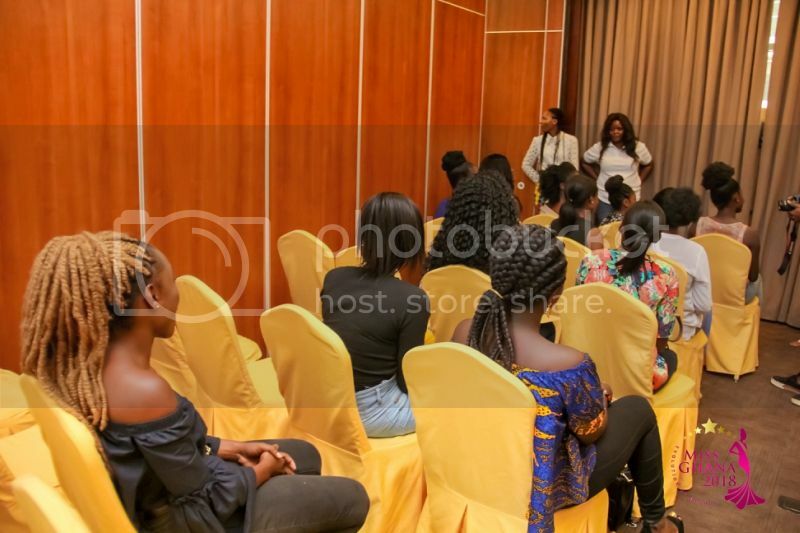 The audition for the 2018 edition of the Miss Ghana pageant was held on August 25 at the Tang Palace Hotel in Accra. Judges included presenter and actress, TV and Radio personality and women's rights activist, Akumaa Mama Zimbi, CEO of Allure Centric, Bimbo Oduro, businessman and philanthropist, Prince Etornam Attipoe, and CEO of Exclusive Events, Inna Patty, who took the ladies through a screening process, asking them various questions and engaging them to also display their talents. 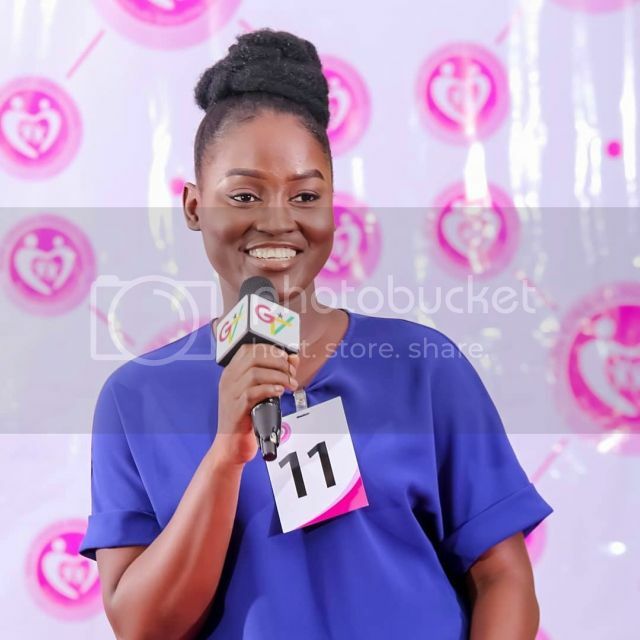 According to the organisers, all applicants, who turned-up for the auditioning, were within the required age limit of 18 to 27 years and they were informed that must be ready to exhibit philanthropic ethics and must be ready to be morally grounded in the Ghanaian culture. She added that they must be intelligent and above all must be passionate and in the interest of serving Ghanaians. She said: "That is being selfless and not about the car, cash or crown and you would definitely be rewarded after serving your country’’. She revealed that it was a requirement for each of the contestant who will either end up being crowned queen or runners-up to uphold the values as prescribed by the pageant and, additionally, they must also uphold and respect contracts, ethics, authority and good corporate governance. Inna Patty pointed out that the role of the beauty queen is also to serve as a role model who helps in generating support for the under-privileged in societies to get access to quality education, health and good standard of living, and that the pageant seeks to pick from a vast number of queens from different parts of the country who are best suited for the agenda of the Miss Ghana Foundation. The Miss Ghana Foundation is registered under the charity arm of the Miss Ghana Beauty Pageant. The previous queens have been involved in different social projects that have come a long way in transforming and positively impacting the lives of the most vulnerable or less fortunate in society. 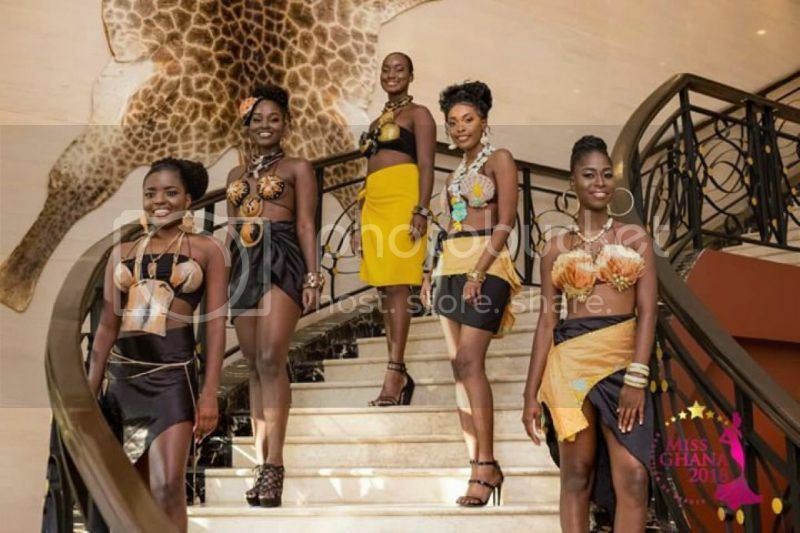 On September 4, ten beauty queens were unveiled for this year’s Miss Ghana beauty pageant towards the grand finale to be hold at the Accra Marriott Hotel on Saturday, September 29. 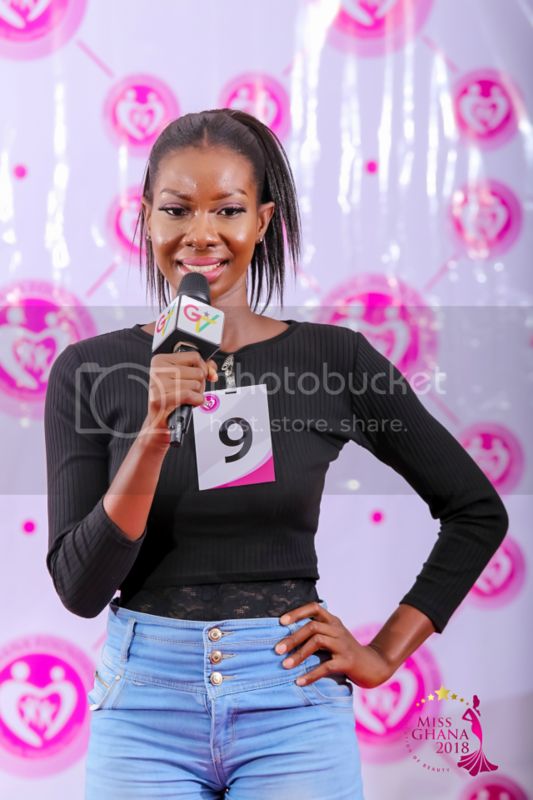 According to Inna Patty, 48 aspirants were selected at the audition held at the Tang Palace Hotel in Accra on August 25. They went through the processes and the number was narrowed down to 10. Those outside Accra and outside Ghana sent videos for the auditions. 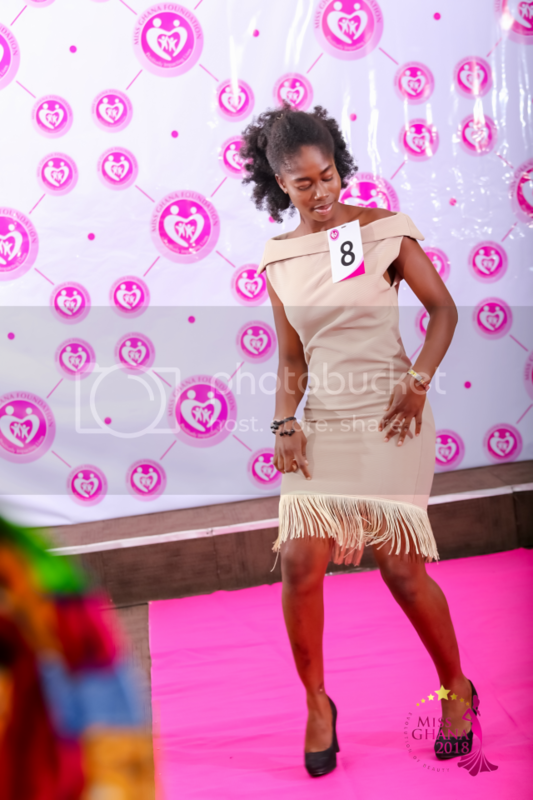 Each lady according to judges were selected out of intelligent, beauty and good potentials to represent the 10 regions. 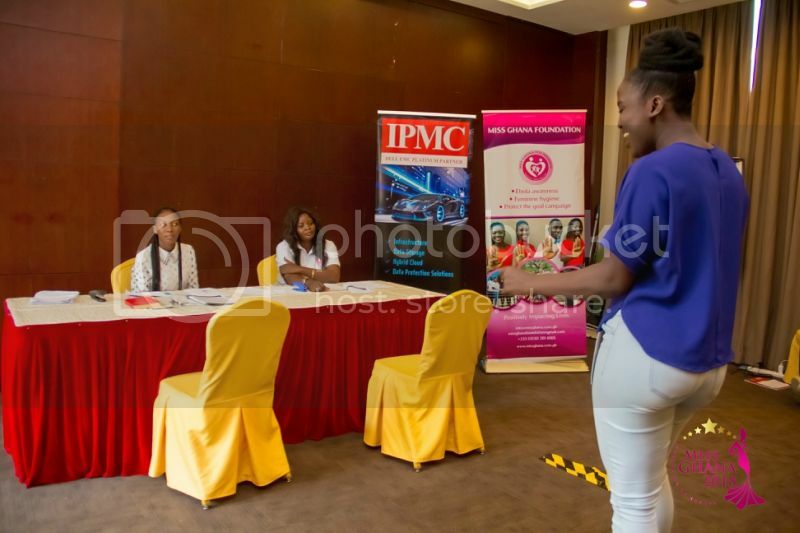 The 10 finalists are currently being groomed and engaged in a number of activities through which the winner of the competition is determined and to equip them ahead of the Miss Ghana grand finale and subsequently the Miss World pageant. She loves singing and acting, but she does a lot of singing because that was her major childhood interest. She treasures every opportunity to speak in public because she believes it always presents a stage to engage an audience and communicate effectively. She likes to be a part of the Miss Ghana brand because it is a platform that grooms young women into becoming better versions of themselves. The aim of the Miss Ghana is to give back to the society and create a positive impact on the younger and upcoming generations, which she believes aligns perfectly with her zeal of contributing to helping secure better societies for future communities. She has previously been involved in volunteer work with an NGO which focused on providing care and support for the less privileged over the better part of three years. 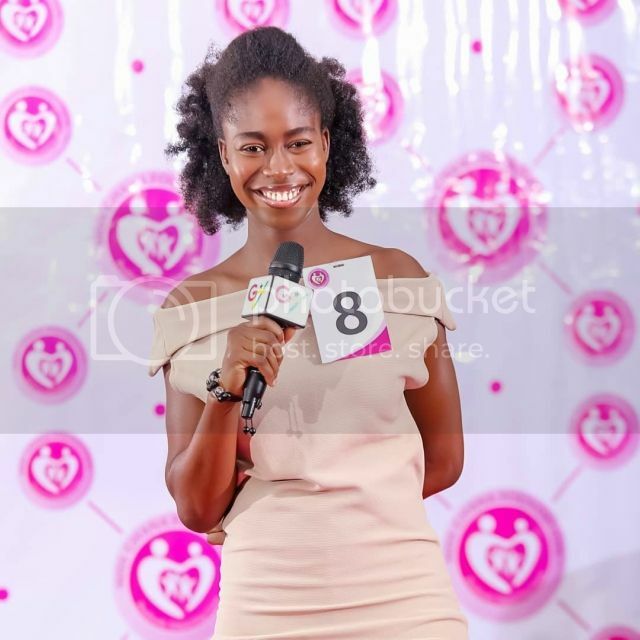 The Miss Ghana brand is a strong one; one that she believes will build her confidence and provide the much needed exposure to give back even more to society. She works as an environmental geoscientist National Service personnel at the Environmental Protection Agency. She is also an aviation enthusiast and she became the content manager for Kotoka City. As ambitious as she is, she has always thrived to excel at every area of her life. As an individual, she sides with the idea that her dreams and aspirations lie only a few steps outside of her comfort zone and that if she wants something, she should go out and get it. 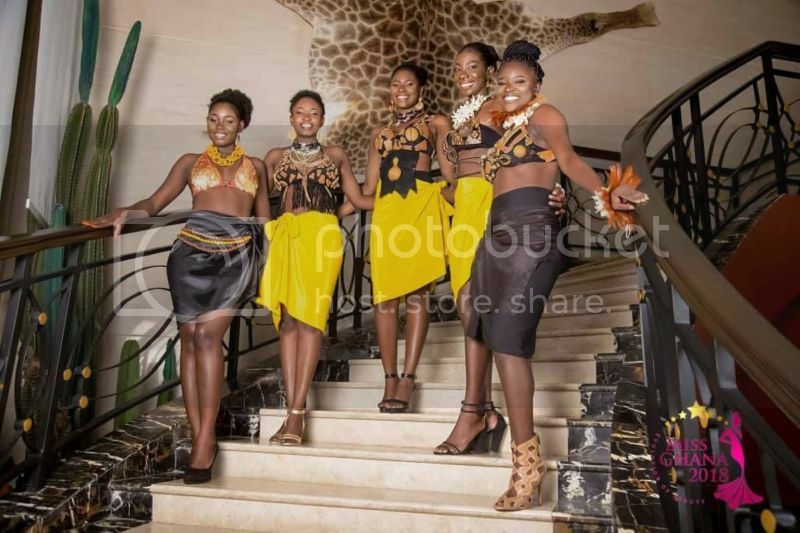 Miss Ghana, aside being the oldest and most prestigious pageant in Ghana for the past 61 years, has produced a clan of beautiful, hardworking and socially respected women, and most importantly, impacted the lives of so many people in the area of health, streetism, environment and charity. She joined this year’s train because she wants to be part of such a beautiful legacy. Peggy’s philosophy in life is ‘Agas lo que agas’ (whatever you do, do it with all your might). With this attitude, she believes, without a doubt, that with the help of God and everyone else’s support, she will be crowned Miss Ghana 2018. She loves to dance and listen to music. Nana’s mission is to motivate people to reach their very best. 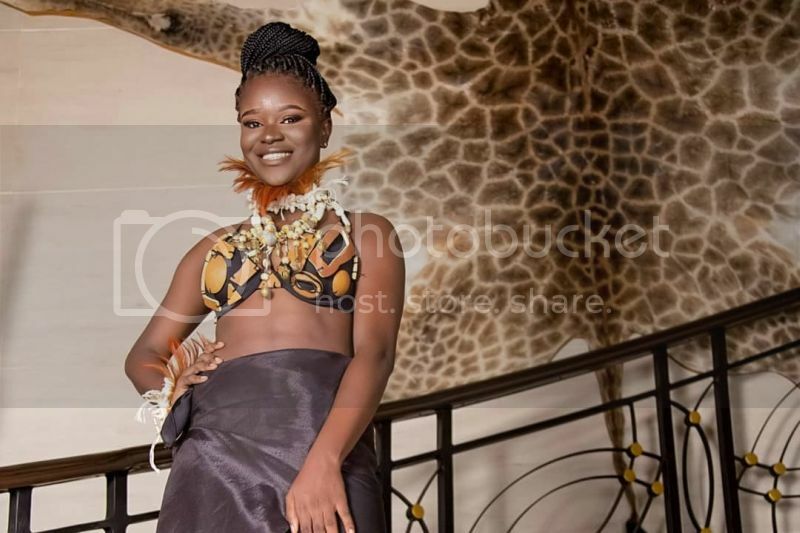 She wants to be a part of the Miss Ghana brand because she believes it is an authentic brand which shapes young ladies into women of substance in the society. Also, it provides queens with beneficial life skills. She loves reading, listening to music and cooking. She also has great interest in helping others who are less privileged to also climb up on the social ladder through education. And her reason for joining Miss Ghana is that she sees it as one of the best and biggest platforms to make her dreams a reality; that is to help others and also become the role model that others will look up to. She is a student of the Ghana Institute of Journalism (GIJ) reading communication. She loves reading, singing and dancing. She aspires to be a broadcast journalist who will be the voice for the voiceless in her society and also to report on under reported issues affecting the less-privileged in deprived communities. She hails from Osu in the Greater Accra Region. She believes perseverance, determination and hard work are necessary recipes for success. She is a lady with a positive outlook on life. She enjoys taking up new challenges in order to build and improve upon her skills. Becoming Miss Ghana 2018 would be a dream come true and give room for instilling high standards of discipline and professional growth. Rhoda’s reason for wanting to become Miss Ghana is to maximize the opportunity and use the platform to impact lives positively and to make a difference in society. 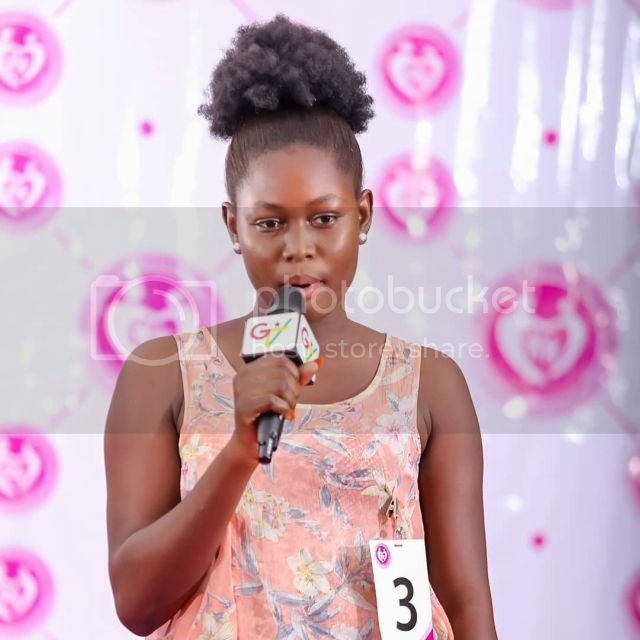 She believes being a part of Exclusive Events Ghana Limited and the Miss Ghana Foundation will help build her confidence and enhance her leadership skills which are a springboard to bigger heights and achievements. She also believes that the grooming and education she would gain will help her discharge her duties effectively and efficiently to achieve positive results. She is a graduate of Koforidua Technical University and studied Accounting. She comes from Saka Saka in the Northern Region of Ghana. She enjoys cooking and working out. She believes in hard work and optimism. Laila’s mission statement is empowering women and children. She wants to be Miss Ghana 2018 because she believes it will give her the opportunity to pursue her dreams on empowering women and children, to impact the life of people positively and to fight against the misconception about Miss Ghana. Juliet, also from the Volta Region, is a graduate of the University for Development Studies (UDS) with a bachelor’s degree (BSc) in Applied Biology. Reading books and watching wedding videos are her hobbies. 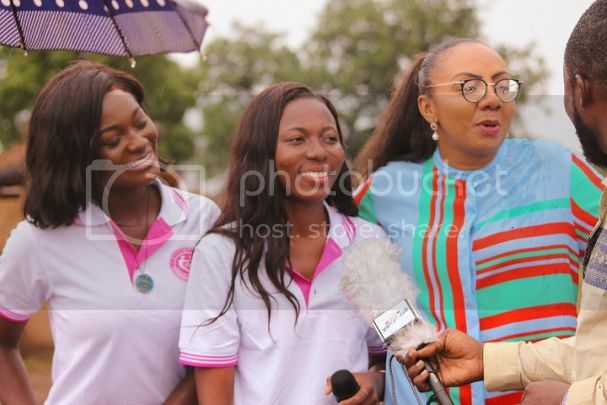 The Miss Ghana pageant since its inception has created opportunities for young, ambitious and intelligent ladies to positively impact Ghanaian lives and communities through their several social intervention projects. She sees this as a huge platform to contribute her quota towards reducing the high levels of drug abuse in our society. She is a make-up artist and hails from Kokofu in the Ashanti Region. She is hardworking, disciplined and a good team player. She loves singing, cooking and listening to music. Vero’s ambition in life is to become a great woman of substance and impact lives positively. She wants to be Miss Ghana 2018 because she believes in the brand and its works, changing and impacting lives positively which she wants to be a part of. She loves watching movies and listening to music. 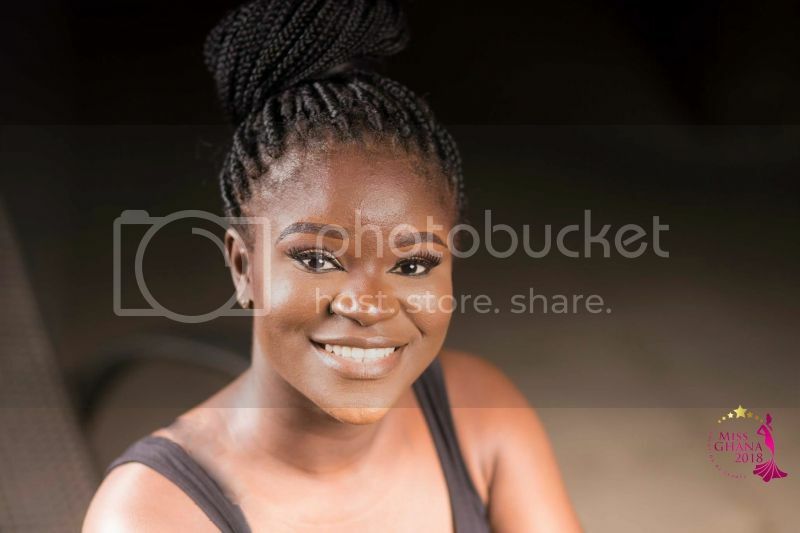 She is poised to serve individuals and families in the poorest communities in Ghana and she wants to be Miss Ghana because it will give her the avenue to pursue her philanthropic work. She is a graduand of Accra Polytechnic. She offered Hotel Catering & Institutional Management. She is the third female born of her parents. She loves reading, listening to music and dancing. She is a fan of poems and also a proud Ga from Greater Accra. She is on a mission to gain the needed exposure through hard work. She is aiming at affecting society positively by helping the less-privileged and also educating more people on drug abuse and the usage of certain drugs for good health. 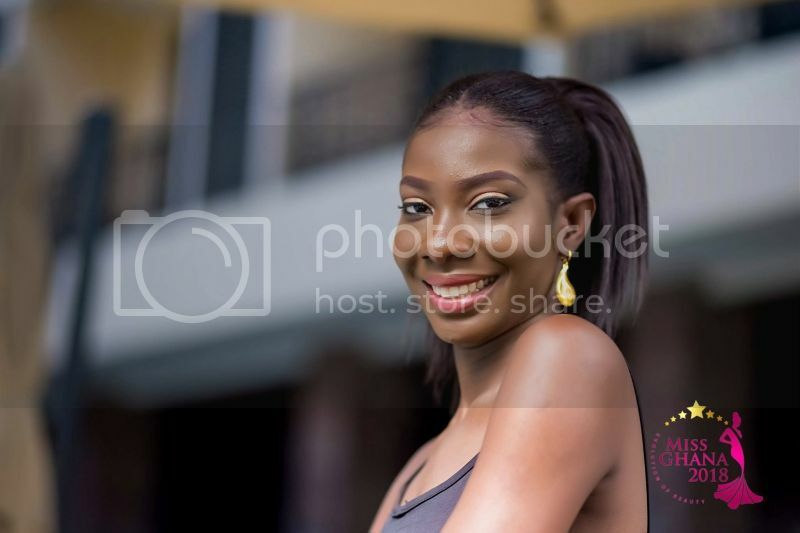 She knows being Miss Ghana is the only pageant that can groom her well enough to be able to achieve her purpose of helping the less-privileged. Thank you! I hope you have enjoyed! john2000doe ALWAYS MAKES INTERESTING THREADS. WELL RESEARCHED AND WELL PRESENTED. I TOTALLY FORGOT ABOUT THE MISS GHANA SCANDAL LAST YEAR. I FEEL THE ND HAS LOST GRIP OF THE PRESTIGE THAT WAS BUILDING. I DO NOT SEE A PLACEMENT FOR GHANA THIS YEAR.